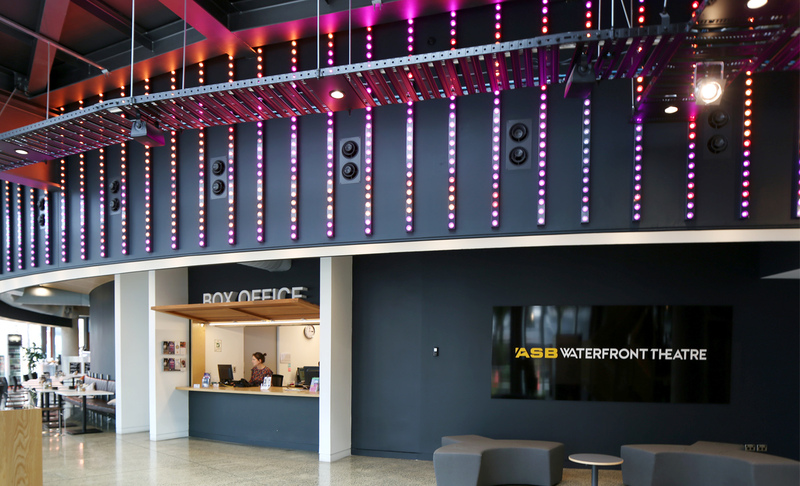 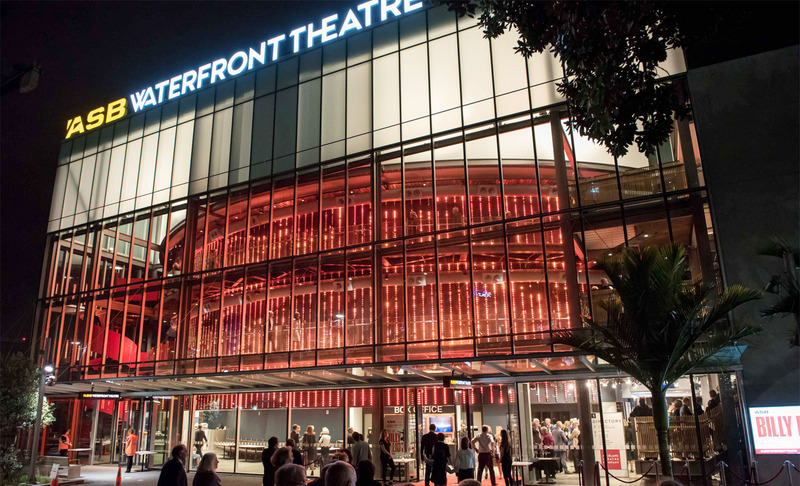 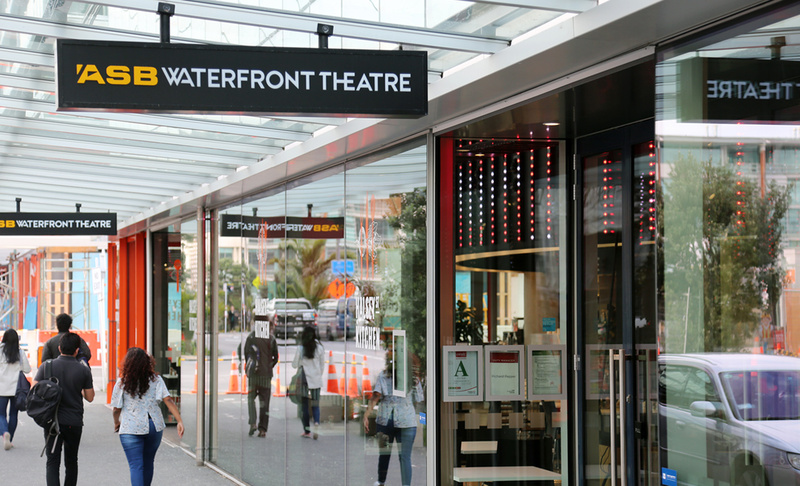 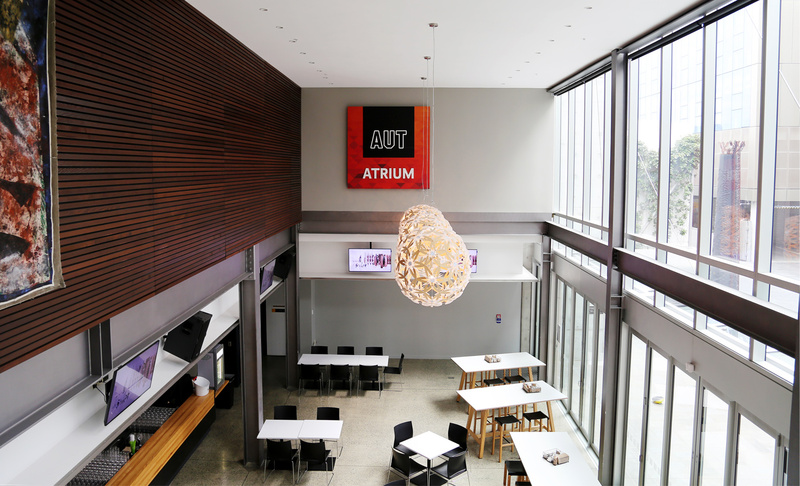 Located in Auckland’s popular Wynyard Quarter, ASB Waterfront Theatre is the first theatre in the Southern Hemisphere to be targeting a 5 Green Star rating for efficiency and sustainability. 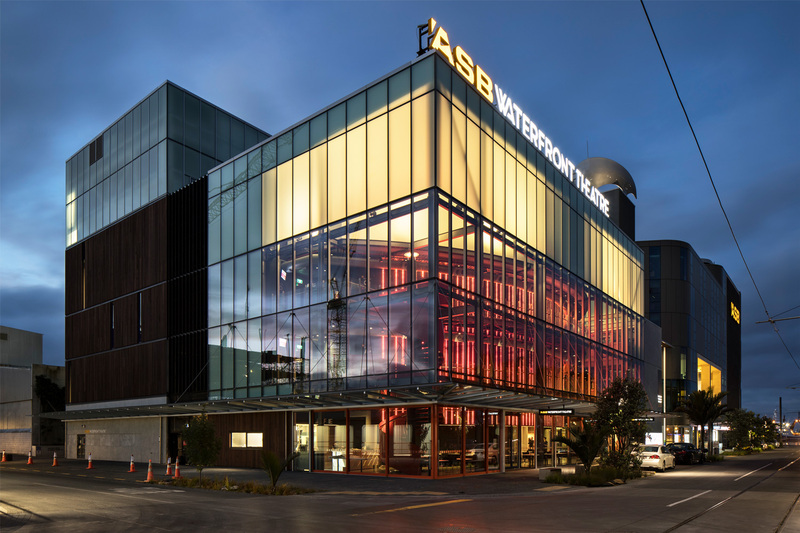 Offering a 650 seat theatre, it features a glass walled air bridge linking the theatre to the ASB Bank. 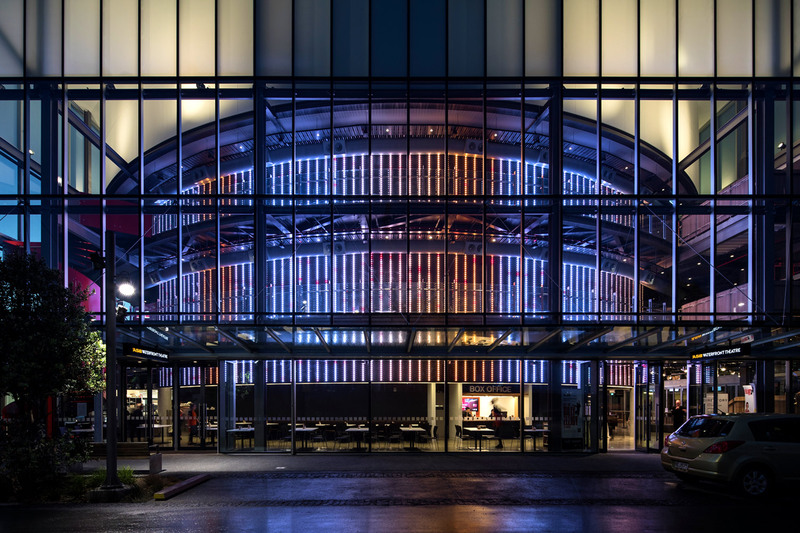 The public artworks within the theatre have become a major attraction of the building’s design with one of the works featuring 10,000 LED lights, creating an image visible through the theatre’s glass wall. 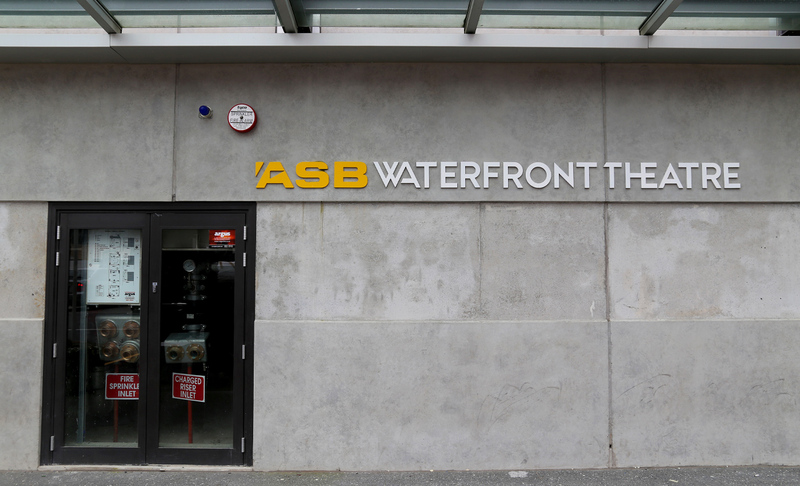 The building was redesigned in 2012 after an initial preliminary design phase was put on hold. 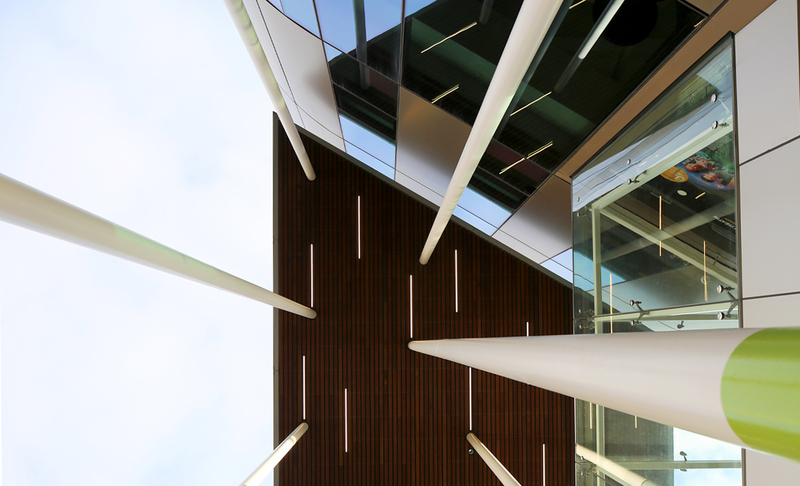 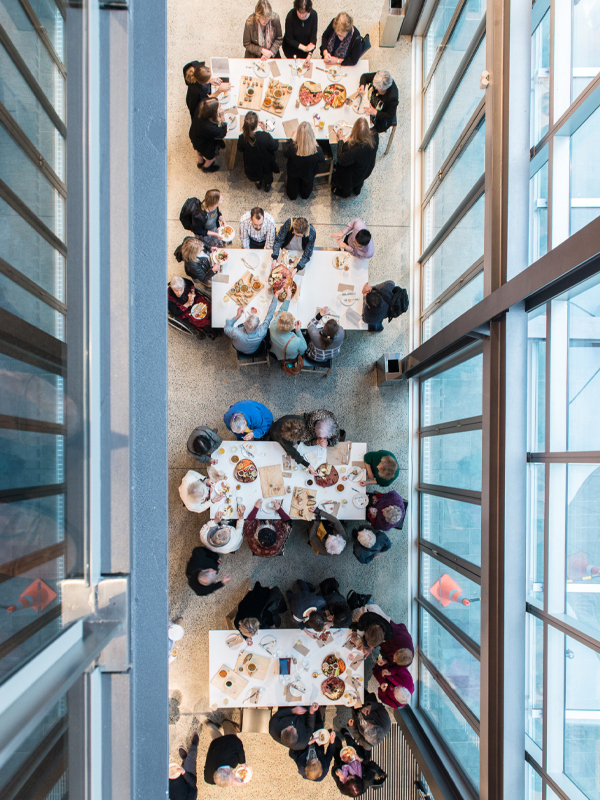 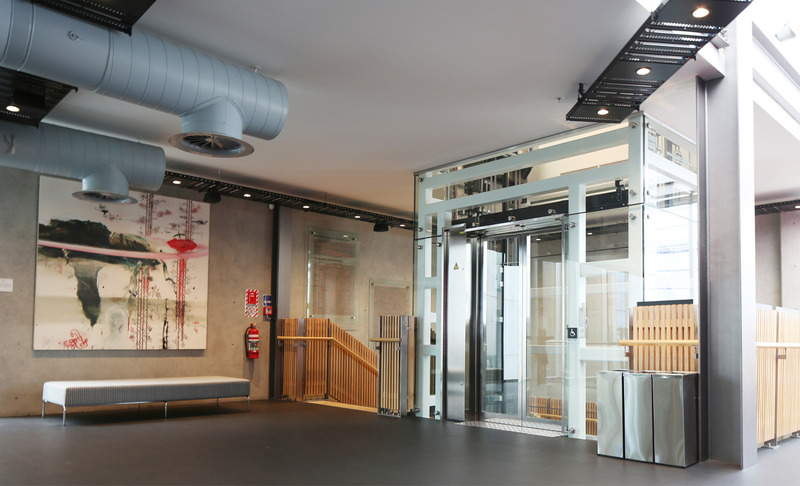 The new design was one of the first buildings in New Zealand to adopt the new C/VM2 Verification method for quantified performance based design. 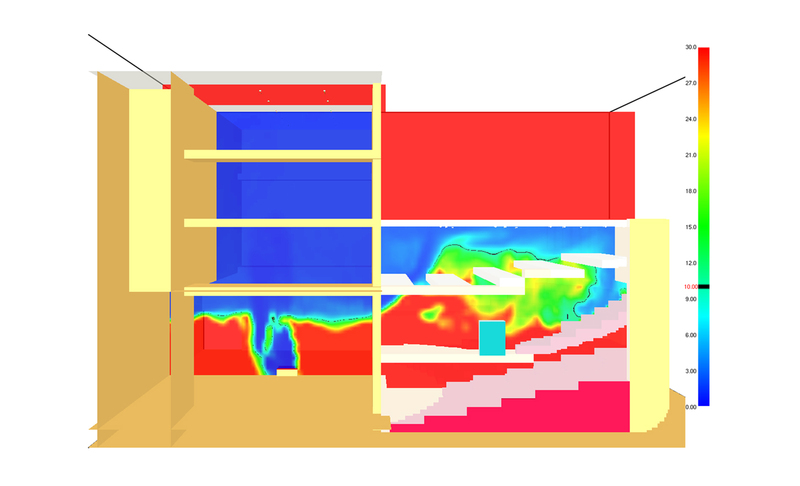 This new design approach was significant, as it allowed Holmes Fire to develop a solution that did not require smoke detection nor a dedicated smoke extract system. 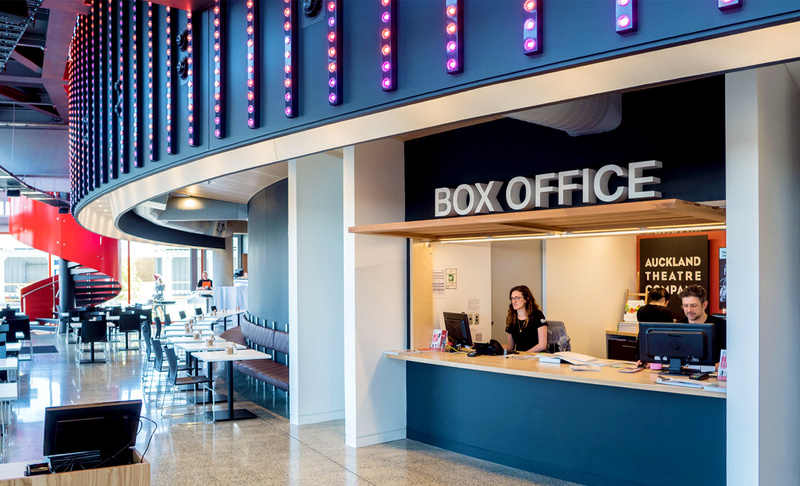 This is of huge benefit to a performing arts theatre as it eliminates the risk of false activation of smoke detectors and smoke control systems as theatre effects use haze, dry ice, and artificial smoke. 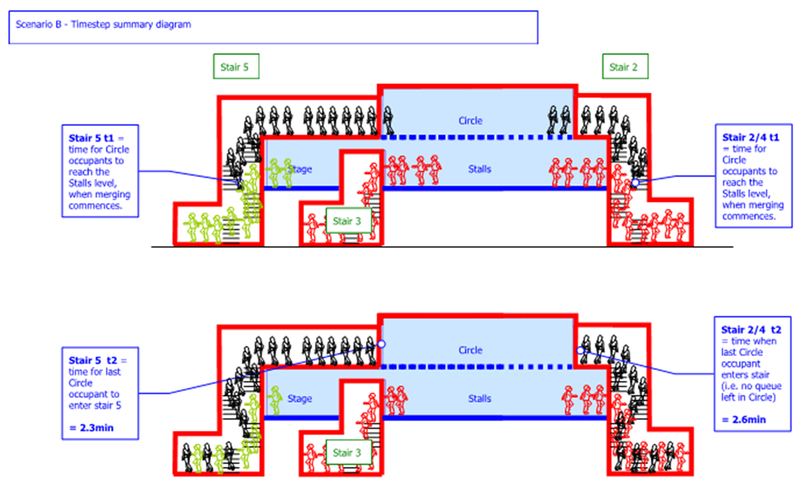 This solution also avoids the need to have an ‘isolate’ facility on the smoke detection and fire alarm system eliminating the need for the stage manager to monitor haze effects and other theatre-created environments which typically play havoc with smoke detection systems. 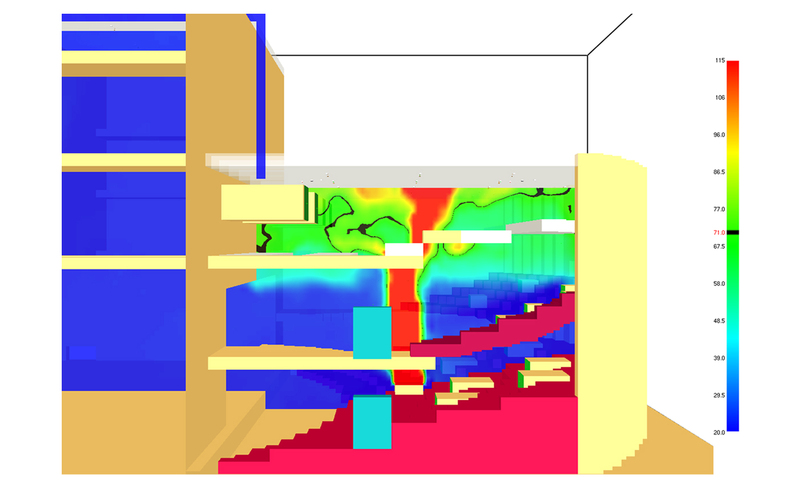 Designing a fire safe solution without a dedicated smoke extract system, activated with hatches and doors, avoided the inevitable potential compromise into what otherwise needs to be an acoustically sealed auditorium. 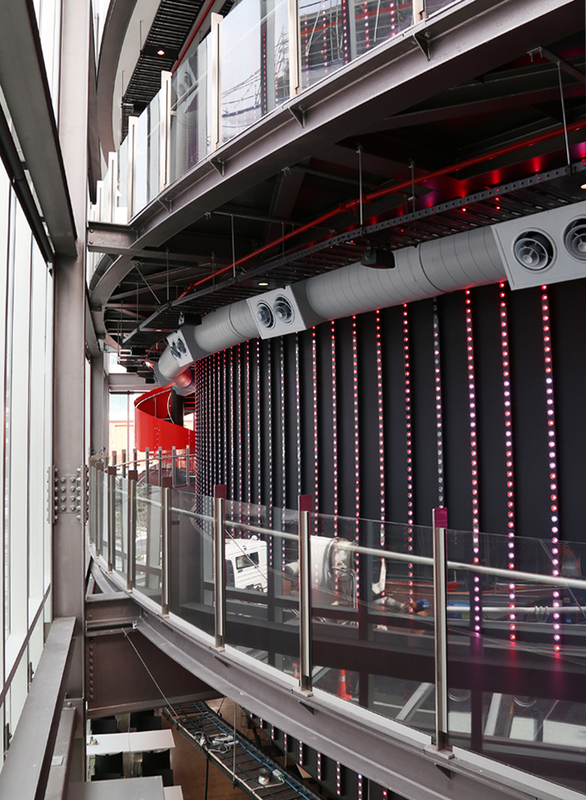 Key parts of the steel structure were assessed for adequate fire resistance without the need for passive fire protection, saving on construction cost.